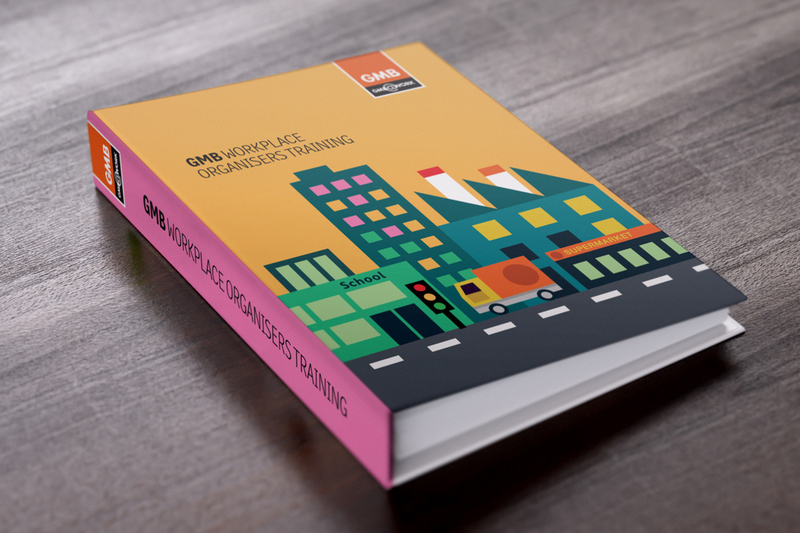 GMB asked us to design their Workplace Organisers Training manual. The course is split it up into manageable chunks, which makes it fun and easy to work though. Our design reflects this using a clean, colourful and sharp-edged graphic style, depicting an urban environment of typical workplaces, including shops, schools, offices and factories.